At Zatkoff Seals & Packings we continuously look for ways to make your business more profitable, efficient and effective. Along with our commitment to the highest quality materials, we believe in implementing easy to use systems that provide flawless customer service. The innovative ZAP>IT Inventory Management system reduces procurement costs, prevents interruptions, and eliminates overbuying, putting perfect inventory control at your fingertips. This easy-to-use system utilizes a scanner and bin coding system to electronically send order requests to Zatkoff Seals & Packings as parts are used. This continuous monitoring allows for fine-tuned inventory management by predicting the most appropriate time to ship parts. The ZAP>IT system can also be integrated to predict fluctuations in your inventory needs, and automatically ship additional parts as needed. 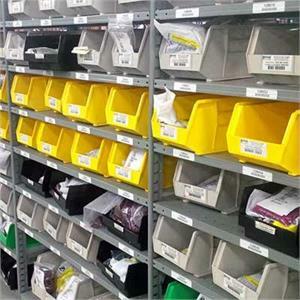 With ZAP>IT, inventory is closely monitored and kept at optimal levels throughout the year. Our customers have reported savings of up to 40% by maintaining perfect counts and preventing overbuying. Our summary invoicing can also reduce handling and processing costs by offering customized solutions specific to your accounting needs. Detailed ZAP>IT presentations and tours of a local ZAP>IT system are available. Contact your local Zatkoff representative, or email us to schedule a tour.